This entry was posted in Friday Midnight, Review and tagged cinematic impressionism, horror films, kathryn bigelow, Westerns on April 28, 2015 by jakewalters98. 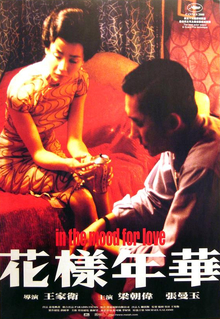 This entry was posted in National Cinemas, Review and tagged Ang Lee, Chinese Cinema, Chow Yun Fat, cinematic impressionism, grand pretties, Michelle Yeoh, National Cinemas, that cinematography though on February 14, 2015 by jakewalters98. It is not a new or interesting argument to rain down laurels upon silent cinema for its vigorous, spirited transformative self-exploration. No time in cinema history matches the medium’s earliest years for pure ecstatic inventiveness and unbridled, unhinged storytelling experimentation. No time has seen directors and cinematographers and editors, and even producers for that matter, ever so consistently transfixed by the potential of exposing the cinematic mind by pushing it to its breaking point and moving beyond the grip of narrative storytelling to look for new and exciting ways to freshly portray the limits of fiction on screen. No time has ever been as hungry, or as infested in film for the sake of film itself. This entry was posted in Film Favorites, Review and tagged Anti-Western Westerns, cinematic impressionism, Film Favorites, gender politics, kind-of-horror-but-totally-horror, Lillian Gish, Score: 10/10, silent cinema, Victor Sjostrom on January 29, 2015 by jakewalters98. This entry was posted in Film Favorites, Review and tagged cinematic impressionism, David Gordon Green, Film Favorites, Score: 10/10 on January 27, 2015 by jakewalters98. With Michael Mann’s Blackhat underwhelming critics all around the land, I’ve decided to take a look back at the neon nightscape urban painter’s greatest film, a shockingly underrated work of crime fiction with an impressionist tint. From 1981, Michael Mann’s Thief. Michael Mann tore down the ’90s with three films of varying qualities that all are nonetheless championed as, at the least, lesser classics of the modern filmic world. The Last of the Mohicans, Heat, and The Insider vary on the surface, but their strengths are uniform and typically Mann: a poetic variation on hard-edge grit (or a gritty take of impressionism, if you prefer), a focus on problem solving and realist process rather than sentimental characterization, and a deconstruction of masculine identity equal parts grimy American New Wave and the more clinical, cryptic European New Wave. The films vary in quality (I for one have never had much use for the flubby, indulgent Heat), but they capture Mann trading subjects without ever sacrificing his identity. 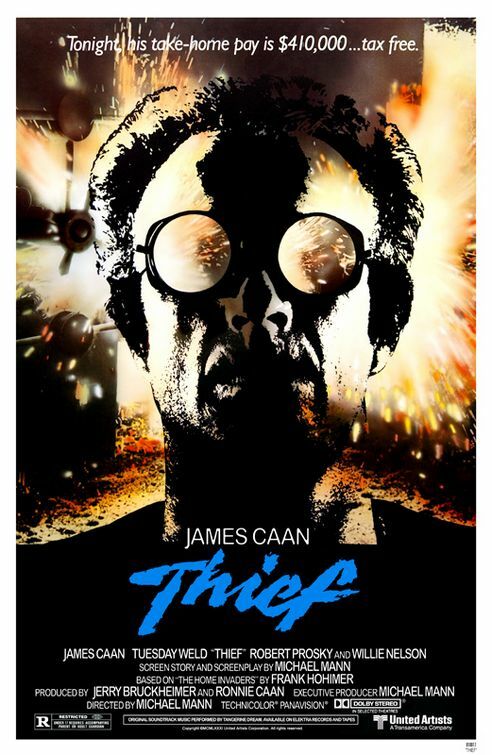 Yet that identity came to fruition much earlier, on a much less famous film, and a work that matches and exceeds any of the three in quality: 1981’s Thief. Released at the very end of the American New Wave where dramas were going out the door in favor of genre exercises, Thief finds the best of both worlds in perfect, jagged harmony. It is a true pity that most of Michael Mann’s adherents haven’t seen it, for it is one of the few American crime films that seems truly interested in coming up with a new filmic language to explore its pet themes. This entry was posted in Film Favorites, Review and tagged cinematic impressionism, Film Favorites, James Cann, michael mann, Score: 10/10 on January 24, 2015 by jakewalters98. I Walked with a Zombie was the second film Val Lewton produced once given complete control of RKO’s horror unit, and it was released only a year after Cat People, his most famed horror film. Given this, one might expect a retread, but I Walked with a Zombie is certainly not the film anyone then or now would be expecting. A tension seethes in the air and grasps all, but the film doesn’t demand in the way a work like Cat People is so tersely constructed to fight for our attention. Absent are the soul-deep colors of Cat People which lighted up the screen with black energy. And in place of the rampant diluted German Expressionism of American horror throughout the ’30s and ’40s, all caught up in harsh and angular nightmares, we have something that more closely approximates a hazy dream, a curious cross between an English period drama and a work of French impressionism that centers mournful, elegiac long takes and has room enough for lost secrets deviously begging to get out . It is, above all, wholly distant from anything resembling horror logic, and it is all the more fascinating for it. This entry was posted in Friday Midnight, Review and tagged cinematic impressionism, Jacques Tourneur, midnight screening, race in film, Score: 10/10, val lewton on October 18, 2014 by jakewalters98.